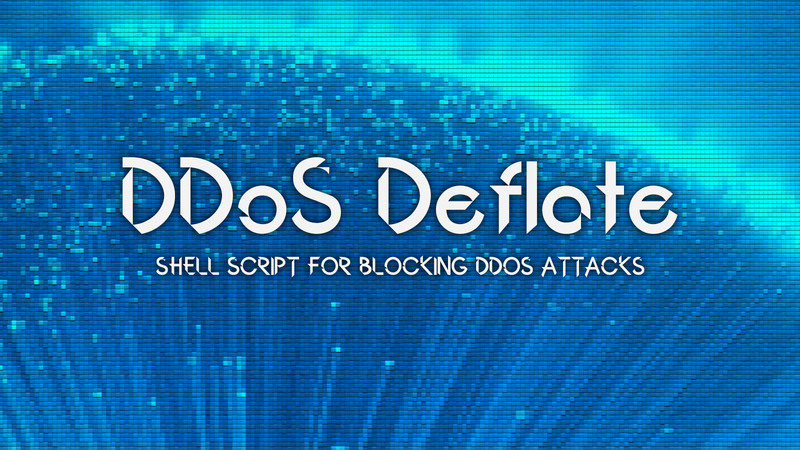 DDoS Deflate is a lightweight bash shell script designed to assist in the process of blocking a denial of service attack. It is one of the simplest and easiest solutions at the software level. How it works: It tracks and monitors all the IP addresses making connections to the server by using the netstat command. Whenever it detects the number of connections from a single node exceeding certain pretest limits which are defined in the configuration file, the script will automatically block that IP address through the IP tables or APF according to the configuration. It utilizes the command below to create a list of IP addresses connected to the server, along with their total number of connections. It is possible to whitelist IP addresses, via /etc/ddos/ignore.ip.list. It is possible to whitelist hostnames, via /etc/ddos/ignore.host.list. Control blocking by connection state (see man netstat). Support for APF, CSF, ipfw, and iptables. Uses tcpkill to reduce the number of processes opened by attackers. After installing the DDoS Deflate, modify the config files to fit your needs. The behaviour of the ddos script is modified by this configuration file. If you are running the script as a cronjob, no restarting is required. -h | --help: Show the help screen. -c | --cron: Create cron job to run the script regularly (default 1 mins). -i | --ignore-list: List whitelisted ip addresses. -b | --bans-list: List currently banned ip addresses. -d | --start: Initialize a daemon to monitor connections. -s | --stop: Stop the daemon. -t | --status: Show status of daemon and pid if currently running. -v | --view: Display active connections to the server. -k | --kill: Block all ip addresses making more than N connections.